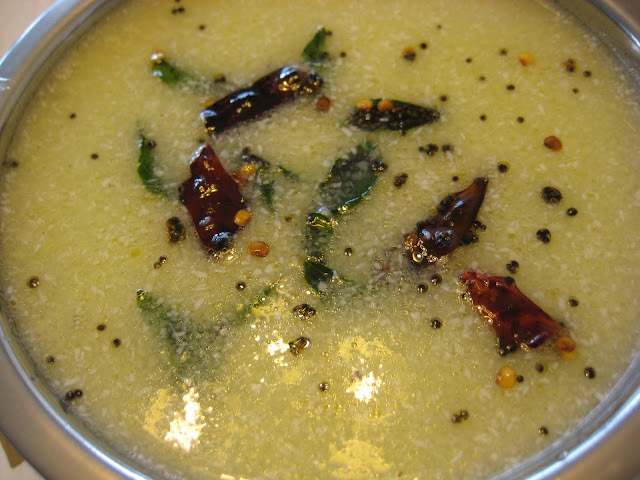 This is one of the great mango recipes.Easy to make and quick delicious recipe.This is Sagara style Mavinkaayi gojju.My mom makes in defferent way, I will post that recipe soon.It goes well with Rice and you can even drink. Do not drink too much you will fall asleep.Make sure you make it on Saturday and Sunday!!!;).Enjoy. Temper with Coconut Oil,Mustard,Curry leaves and Asafoetida.